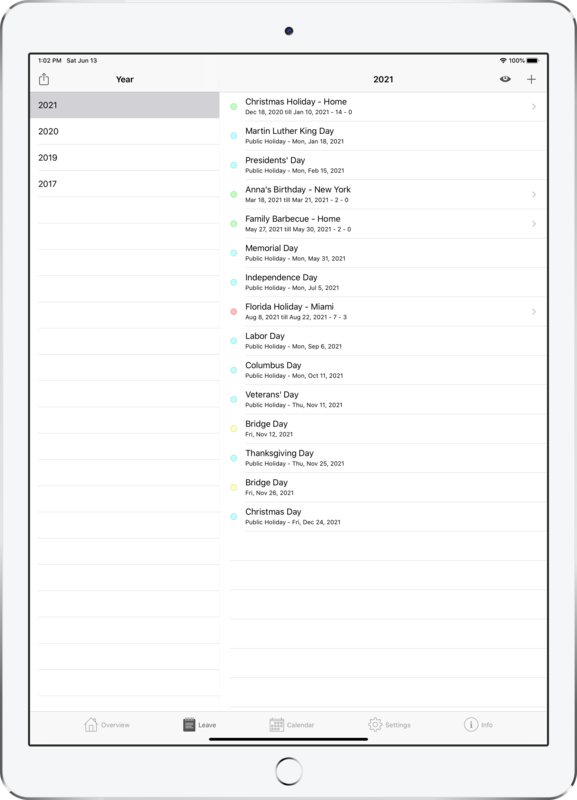 This App helps you to keep track of your leave and to never forget a long weekend again. 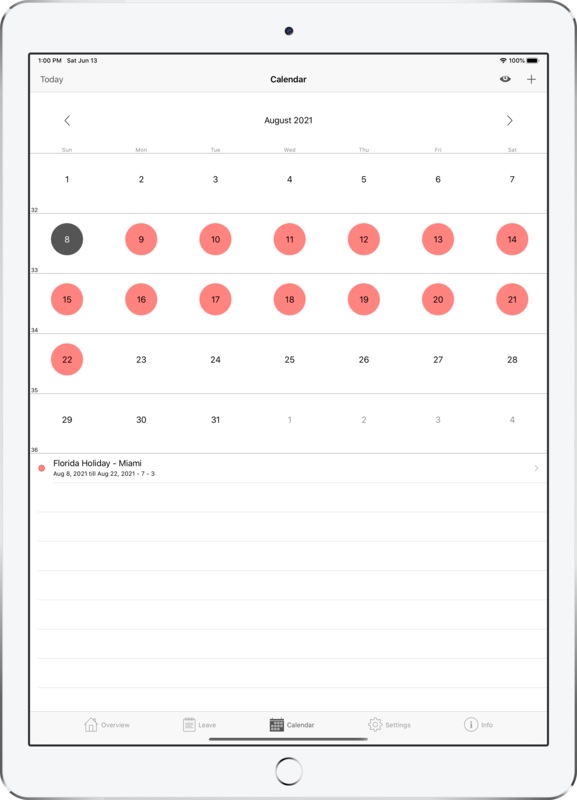 Overview your leave days and flex days, separated by planned and approved leave at all times. Residual leave is automatically transfered into the next year. View your leave entries, public holidays, days off and bridge days in a list or in a calendar. Calendar events are automatically integrated in your iOS calendar. 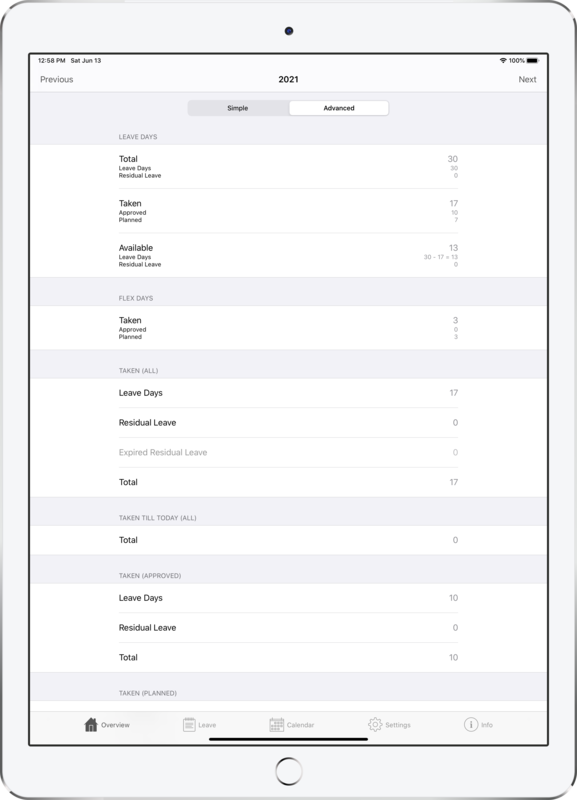 All data is automatically synchronized across your iOS devices. 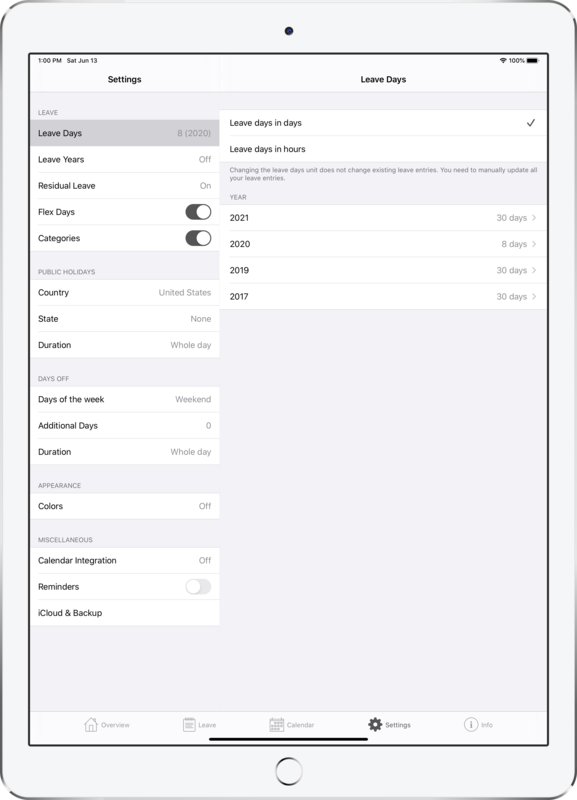 Conveniently switch between your iPhone and iPad to have your data always available.